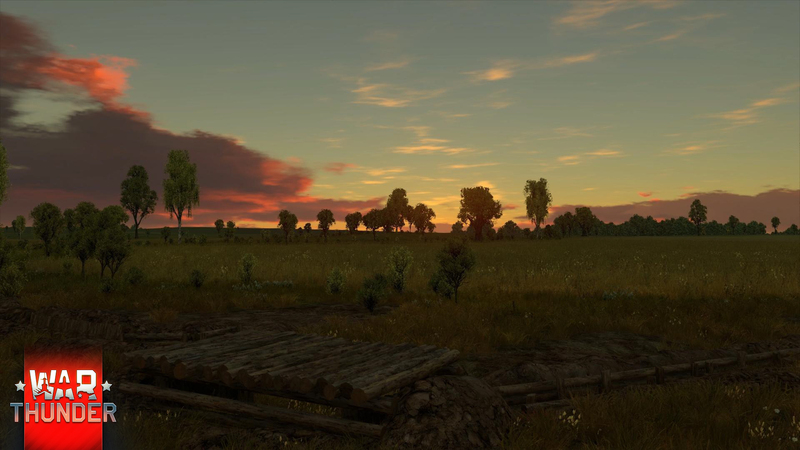 Today we would like to show you what is probably the best rendition of the sky that has ever been recreated in video games and that will be implemented soon in War Thunder. The first thing we’d like to emphasize - with the same sky quality settings it will not affect the game’s performance on your gaming machine. Some theory to begin with. 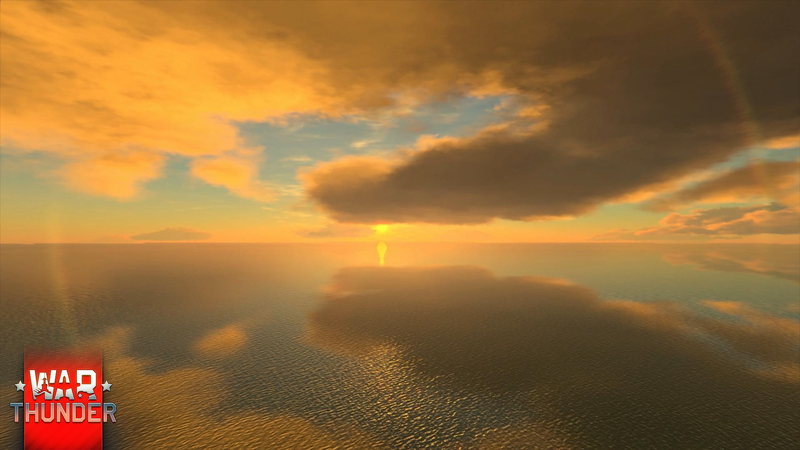 Skies in the game consists of three elements: clouds, sky/atmospheric scattering and the sun. Unfortunately not all of these elements are well-researched in modern computer graphics science. 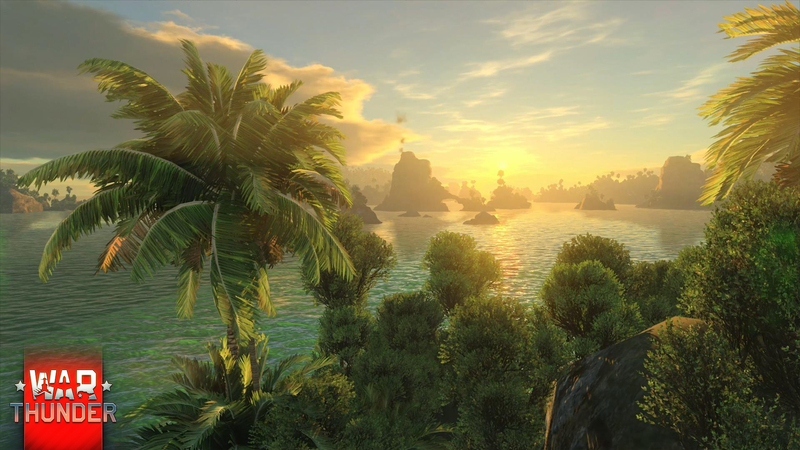 But even such a well-researched (from the theoretical perspective) subsystem as “the sky/atmospheric scattering” in video games is often emulated via fog and textures. While in reality the atmosphere is nothing like fog since it depends on the position of the sun, the water vapour altitude and density, the amount of dust in the clouds, the temperature and so on. 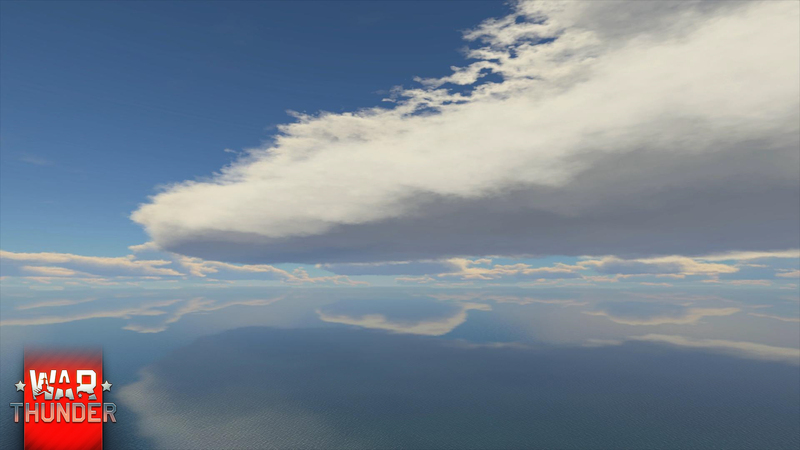 Clouds however, are a hazy area (excuse the pun) in modern 3D graphics in terms of sky recreation - very few publications, implementations, middleware. There are some famous implementations and several new technologies in the sphere (devoted to the games that have not been released yet) but in most cases it is all limited to a set of pre-rendered images, SkyDome (either from photographs or from special packs) or standard “particles systems”. While Sky Dome looks nice it has obvious limitations in terms of animation and does not allow user to “fly through the clouds” which is critical for any flight sim. 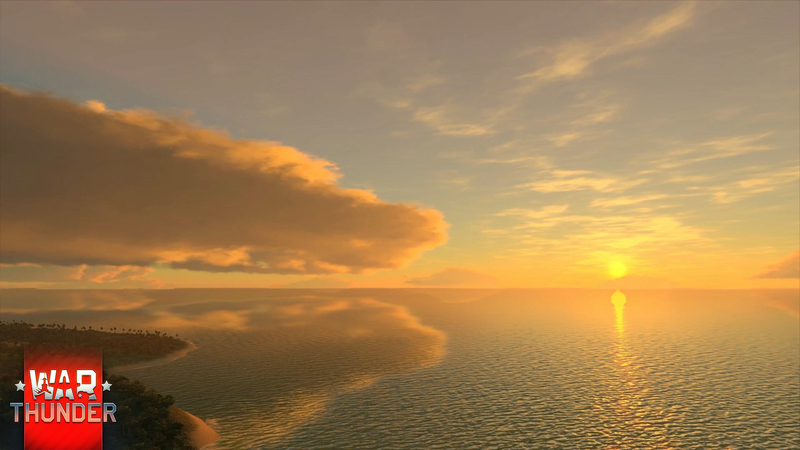 Particle systems provide high degree of interactivity but lighting realism and distances leave much to be desired (in real life clouds can be seen from dozens or even hundreds of kilometers) . Sometimes mixed systems are used - there are both interactive clouds (which cannot be seen from afar and do not look as great as we would want them) and “drawn” - that are always far away from the viewer (they look beautiful, but they are not interactive). Thus we have not found a solution that would be satisfying for an aviation game and relevant to modern graphical standards in the game industry. Nevertheless we have spent a lot of time developing our own approach and we managed to recreate photorealistic imagery that has 5x better performance than any of its counterparts. Besides that, we render the clouds up to a distance of 300 virtual kilometres - all the way to the horizon (with curvature of the earth) in case a player is flying at an altitude of 7,000 metres. 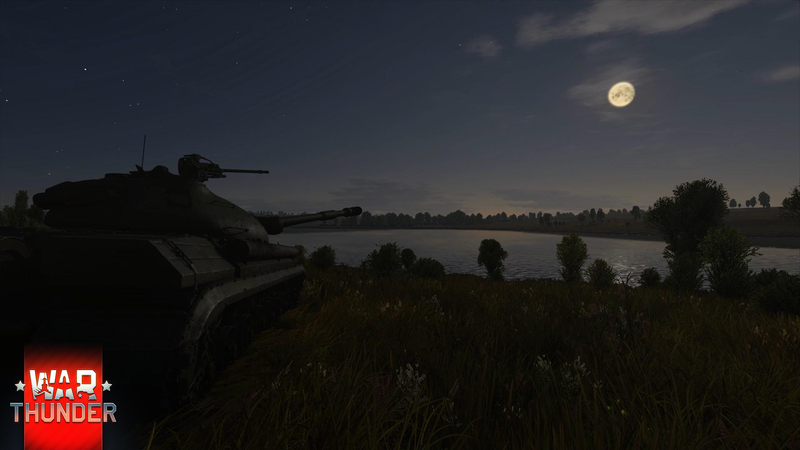 As well as this, the new system will make it possible to enable dynamic changes in the time of day for light conditions in certain game modes. 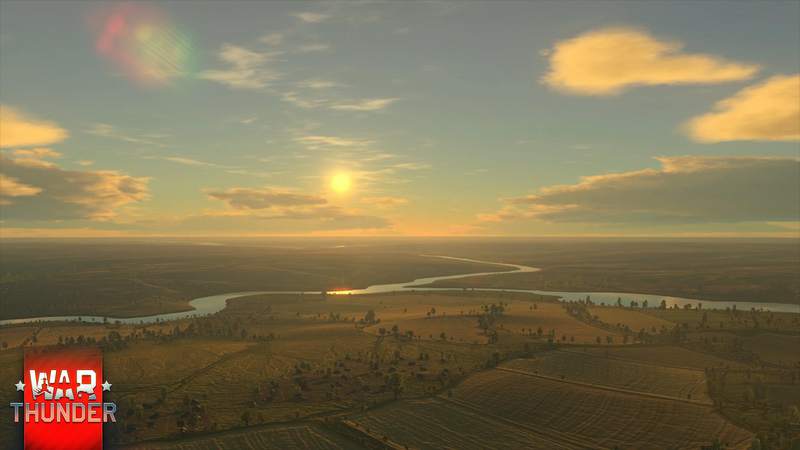 Also sky in the Dagor Engine 4 is astronomically correct which means that both the sun and the stars are correctly positioned in the sky according to latitude, time and the date (including polar nights and days) even the moon and constellations are positioned according to year, month, date and hour. The new skies feature will be implemented in one of the nearest updates.